The Dhole (Cuon alpinus) is a wild canid that are efficient predators and communal pack hunters. These rust-coloured carnivores roam the jungles and montane forests of Central and East Asia. They are the only species in the Cuon genus. 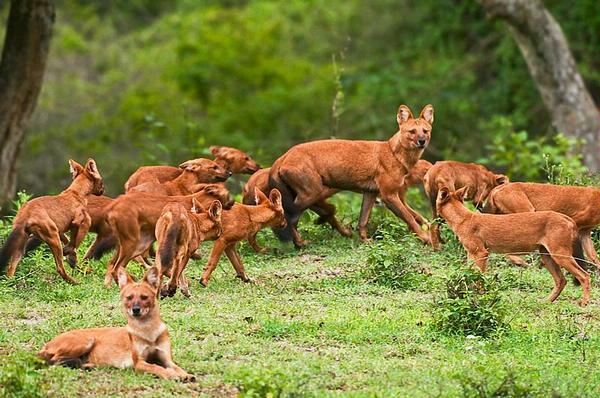 According to the IUCN Red List, there are only 949 to 2,215 breeding dholes left in the wild. This number is less than the world’s breeding tigers. Dholes have been mostly ignored by conservationists, researchers and the global public. They are a forgotten predator. Dhole’s are surprisingly small. At just 12-18 kilograms, dholes are 30 to 50% the size of your average wolf, making them smaller than many medium-sized dogs. The species roams regions inhabited by tigers, snow leopard, bears, wolves and leopards. 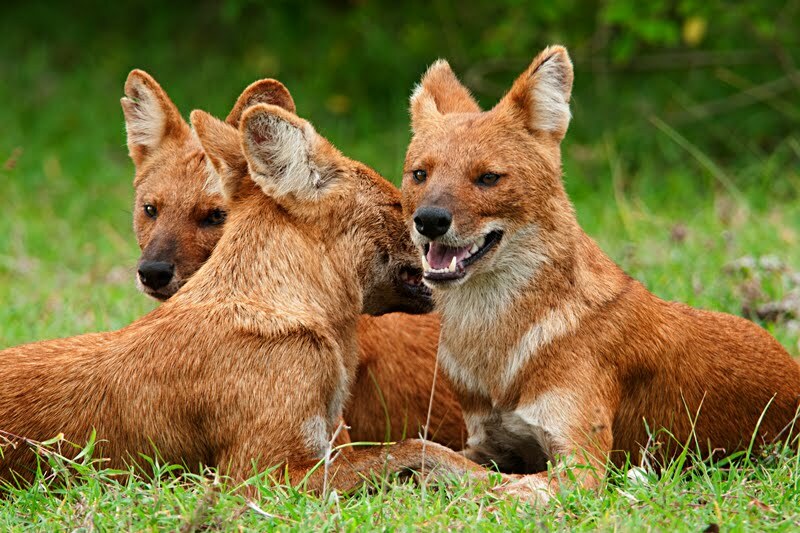 Competition for prey and space can bring dholes into encounters with these other apex carnivores. 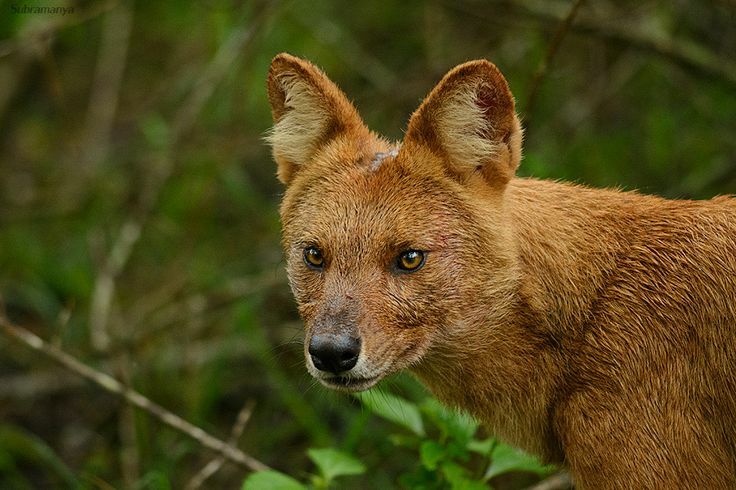 Observers have captured videos of dholes harassing and holding their own against tigers. Dholes inhabit some of the most threatened, degraded and disconnected forest landscapes on the planet. The rainforests of Southeast Asia have seen unprecedented destruction over the past fifty years for palm oil, paper, rubber, timber, mining and other commodities. Where forests haven’t been destroyed, they have been fragmented by booming human populations, roads and ever-expanding development projects. In addition to forest loss, dholes have suffered from a decline in their prey. Because dholes are hyper-carnivores that need relatively high prey numbers to raise litters and sustain large pack sizes. Overhunting and snaring has decimated many prey species across southern Asia. In fact, the region is known for so-called empty forests syndrome. Here, forests are largely emptied of any large-to-medium-sized mammal or bird, wiped out by hunting both for food and the Traditional Chinese Medicine industry. There are very few conservation programmes focusing specifically on dholes, but one of them is Ambika Khatiwada’s in the Kangchenjunga Conservation Area (KCA). in Nepal. Khatiwada is working with locals to live more peaceably with wild canid neighbors. Khatiwada is also working with the local council on implementing a community managed livestock insurance scheme. Under this program, herders pay to have their livestock insured against attacks by predators, in this case dholes and snow leopards. As one of the region’s top predators, dholes have a potent ecological influence all the way down the food chain. 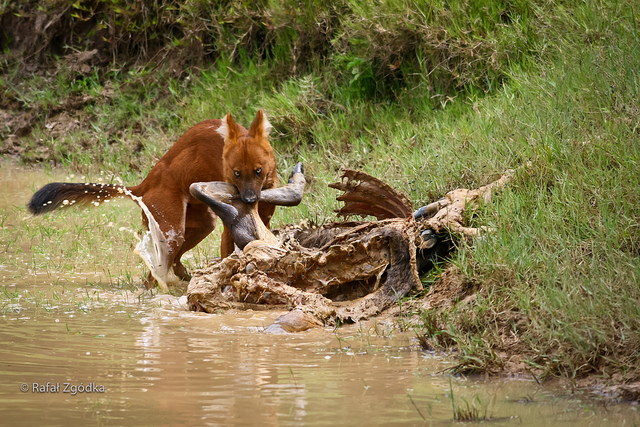 While this has been largely unstudied in regards to dholes, research on other top predators – like wolves – has shown how these animals actually create more biodiverse and productive ecosystems by keeping prey species in check and in hiding.